Lexus LC500h is basically a new version of the existing LC with an all new hybrid powertrain under the engine bay. This one is also the first coupe from the luxury automaker. 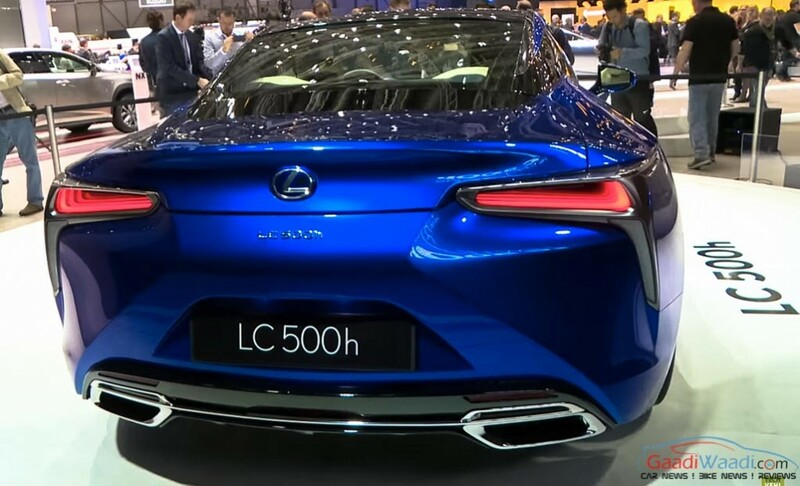 Based on the LC 500, the “h” variant looks identical to its sibling, minor changes can be seen there albeit. Like other hybrid cars from Lexus, this one also adorns blue badges at the front and rear, certainly an effort to make it look different. The “h” surely stands for hybrid. Lexus tried not only to give their customers a greener car, but they also tried to defy the general concept – hybrid cars are not good looking. So what does this car get? 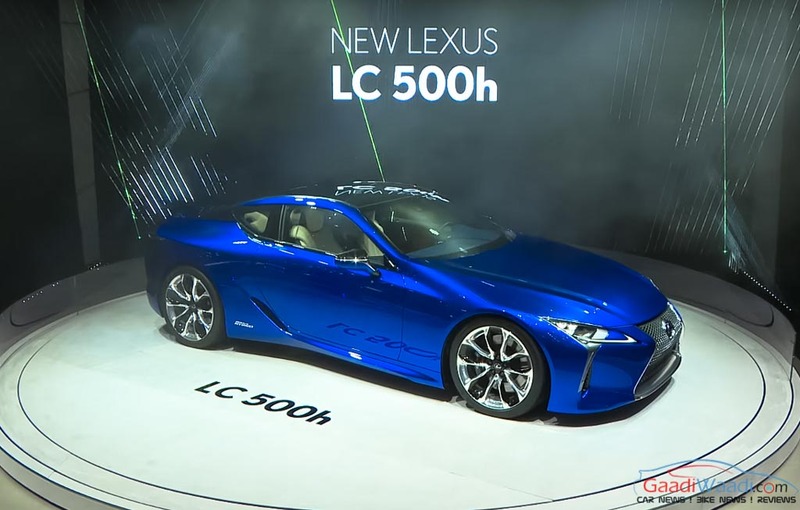 Lexus LC500h sports a muscular yet curvy design, large spindle grille, revamped headlamps with integrated LED daytime running lights which look like hockey sticks. Take a side view, the car looks absolutely appealing. It shares the wheels and tyres of its standard Lexus 500 sibling. The rear fenders look massive and taillamps are sleek. Overall, this Lexus leaves little about complaining when it comes to design. The interior gets a honey and blue coloured upholstery, which is stylish and gives a luxurious aura as well. 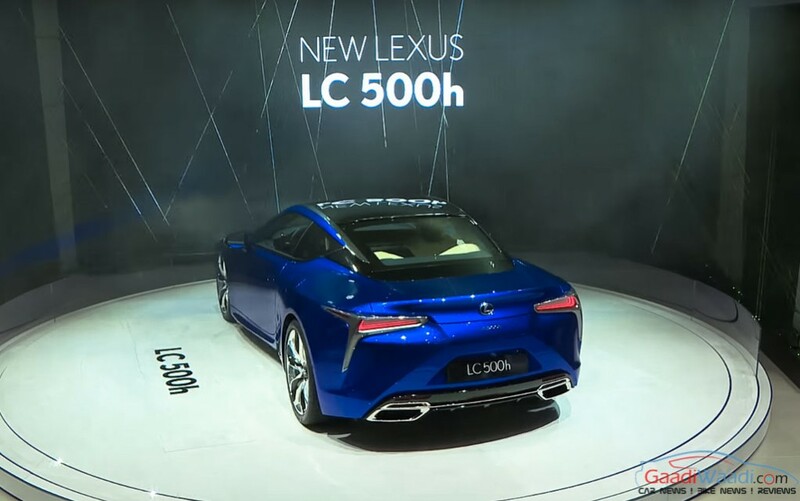 It looks identical to the LC500, a bit extra restyling would have been better. The real story is in the mechanism although. The car gets motivation from a 3.5 litre V6 petrol engine, a powerful electric motor and a pack of lithium-ion battery cell. The internal combustion engine produces 295 hp peak power and 347 Nm peak torque, while the combined power output stands at 354 hp. The interesting feature here is the transmission. Yes, this car gets two transmission, it gets a CVT which works incorporated with two electric motors, and there is a conventional four speed automatic transmission as well. 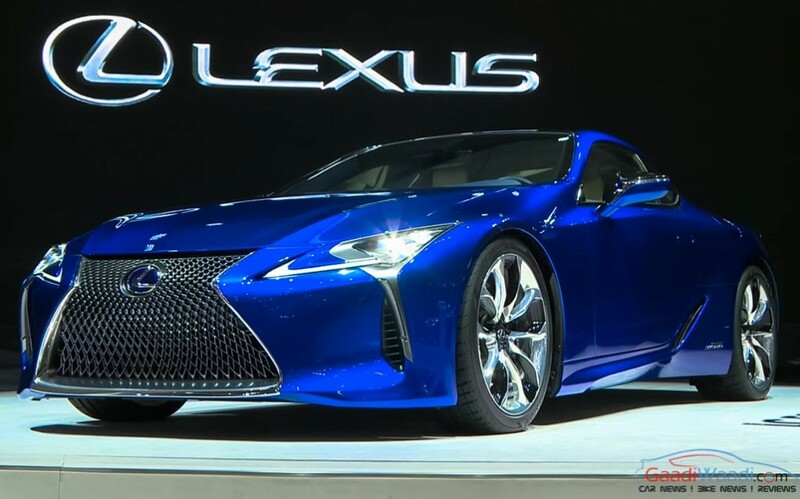 Lexus claims, it will reach 100 kmph from stand still in just 4.5 seconds. Well, who says, hybrid cars are not fast enough? The car gets plenty of safety features like precision camera, millimeter wave radar, pedestrian detection, all speed Adaptive Cruise Control, lane keeping assist etc. Lexus will challenge Mercedes, Audi, BMW, Jaguar Land Rover and Volvo in the luxury space by pitting the hybrid variants of the Lexus RX 450h, Lexus GS 450h and Lexus LS 600h against the respective oppositions initially as they’re reported to enter Indian market in the second half of 2016.